T.D. Alexander, "The Wife/Sister Incidents of Genesis: Oral Variants?" Irish Biblical Studies 11.1 (1989): 2-22. R.L. Cohn, "Narrative Structure and Canonical Perspective in Genesis," Journal for the Study of the Old Testament 25 (1983): 3-16. Timothy J. Cole, "Enoch, a Man Who Walked with God," Bibliotheca Sacra 148: 591 (1991): 288-297. Jack Collins, "A Syntactical Note (Genesis 3:15) : Is the Woman's Seed Singular or Plural?" 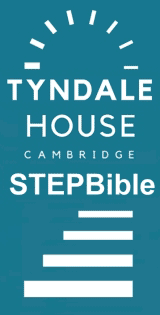 Tyndale Bulletin 48.1 (1997): 139-148. H.L. Ellison, Fathers of the Covenant. Studies in Genesis and Exodus. Exeter: The Paternoster Press, 1978. Pbk. ISBN: 0853642206. pp.128. Daniel Fleming, "History in Genesis," Westminster Theological Journal, 65.2 (Fall 2003): 251-262. Stephen R. Haynes, "Original Dishonor: Noah's Curse and the Southern Defense of Slavery," Journal of Southern Religion 3 (2000). F. Derek Kidner, Sacrifice in the Old Testament. London: The Tyndale Press, 1952. Pbk. 27. Eugene H. Merrill, "The Peoples of the Old Testament According to Genesis 10," Bibliotheca Sacra 154: 613 (1997): 3-22. George G. Nicol, "The Chronology of Genesis: Genesis XXVI 1-33 as 'Flashback'," Vetus Testamentum 46.3 (1996): 330-338. George G. Nicol, "The Narrative Structure and Interpretation of Genesis XXVI 1-33," Vetus Testamentum 46.3 (1996): 339-360. David J. Rudolph, "Festivals in Genesis 1:14," Tyndale Bulletin 54.2 (2003): 23-40. Paul H. Seely, "The Geographical Meaning of 'Earth' and 'Seas' in Genesis 1:10," Westminster Theological Journal 59.2 (1997): 231-255. William A. Ward, "Egyptian Titles In Genesis 39-50," Bibliotheca Sacra 114: 453 (1957): 40-59. Mark D. Wessner, "Toward a Literary Understanding of 'Face to Face' in Genesis 32:23-32," Restoration Quarterly 42.3 (2000) 169-77. Lindsay Wilson, Joseph Wise and Otherwise: The Intersection of Wisdom and Covenant in Genesis 37-50. Paternoster Biblical Monographs. Carlisle: Paternoster Press, 2004. Pbk. ISBN: 1842271407. pp.xvi + 339. M.H. Woudstra, "The Toledoth of the Book of Genesis and Their Redemptive-Historical Significance," Calvin Theological Journal 5 (1970) 184-89.